Walterboro residents have made a desperate plea to the United Nations to repair the perpetually broken milkshake machine at the local McDonalds. Residents have been forced to endure underwhelming McFlurrys after their meals at the fast food giant because the milkshake machine is only operational 5% of the time. The situation has become dire and no one knows when and if help is coming. There have been reported problems with the Walterboro McDonalds milkshake machine for at least a decade. Many people have experienced the devastation of finishing their meal only to learn they can’t top it off with a delicious milkshake. Now residents are lucky to get a shake once a month, and when word gets out that the machine working, the demand is so high that it breaks down again. It’s a vicious cycle of milkshake desire and despair. Word is spreading that local residents may form a rebel group to seize control of the milkshake machine and try to fix it on their own. Regardless of the outcome, residents are expected to continue eating at McDonalds because they have the best french fries around. 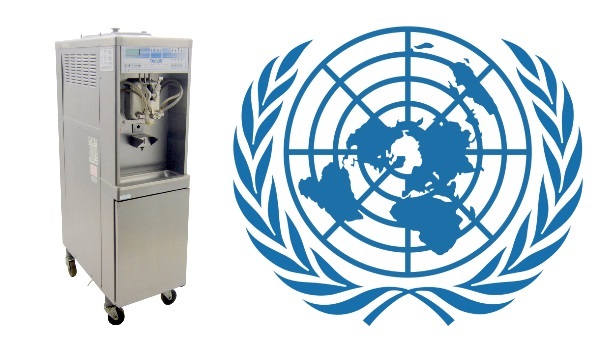 3 Comments on "Walterboro Residents Make Plea To United Nations To Fix Milkshake Machine at McDonalds"
I know this is a facetious article, but it is a real situation at many McD’s. Irks the hell out of me to pull off the Interstate jonesing for the great McD milkshake, only to be told time after time and state after state that their machine is down. I ALWAYS tell them that I am a regional manager of some other area and that I’m reporting them…just for the hell of it.